"Because of the new group I’m setting up at Facebook around Blockchain, I’ve decided it was appropriate for me to resign from the Coinbase board," Marcus said in a statement. Marcus joined Coinbase's board in December 2017. His decision to resign "was made to avoid the appearance of a conflict of interest," a Coinbase representative told CoinDesk, which first reported the news. The representative did not elaborate further to CoinDesk, and a Coinbase representative did not respond to Business Insider's request for more information. "Because of the new group I’m setting up at Facebook around blockchain, I’ve decided it was appropriate for me to resign from the Coinbase board," Marcus said in a statement provided to Business Insider by a Facebook representative. Coinbase CEO Brian Armstrong thanked Marcus for his service in a separate statement. 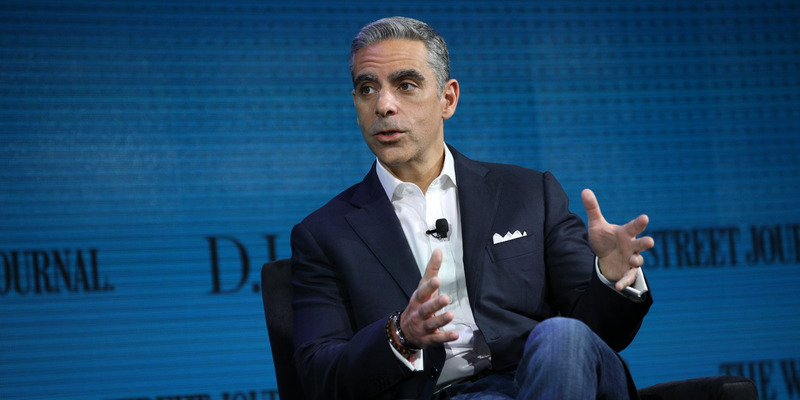 "David Marcus has been a wonderful addition to the Coinbase board, providing valuable perspective and mentorship," Armstrong said in the statement. Marcus' move follows a report from Business Insider that Facebook has met with cryptocurrency payment technology startup Stellar. That move may indicate it plans to set up its own payments network. Facebook's blockchain team was first announced at the company's F8 conference in May 2018. Marcus, a high-profile executive who previously led the company's Messenger team and, prior to that, had served as president of payments firm PayPal, was appointed to lead the project. Marcus is one of several heavy hitters Facebook has assigned to the effort, which some observers have interpreted as an indication of just how serious the Silicon Valley giant is about it. In addition to Marcus, the blockchain team includes Kevin Weil, the former head of product for Instagram; James Everingham, Instagram's former head of engineering; and Evan Cheng, one of Facebook's veteran senior engineers. Beyond the appointments, Facebook has said little about its blockchain project.